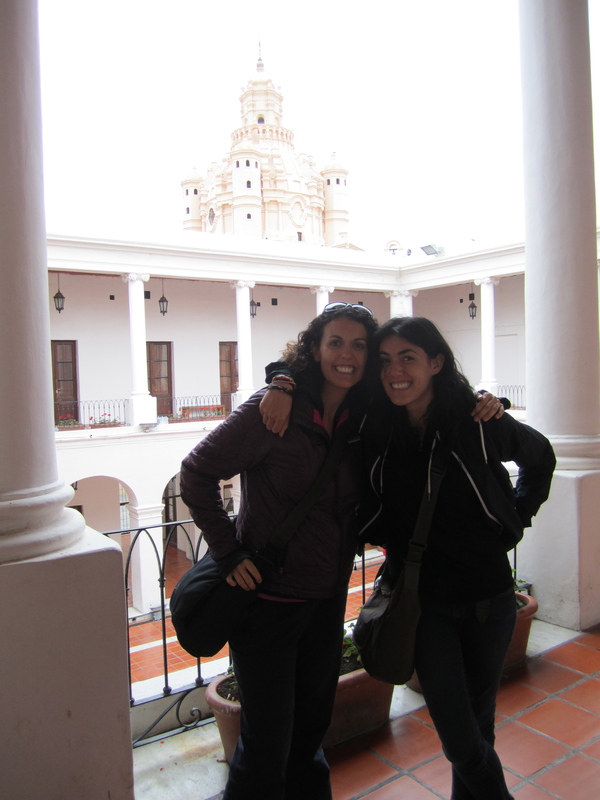 After a great time in Buenos Aires, the three of us headed east to Córdoba. 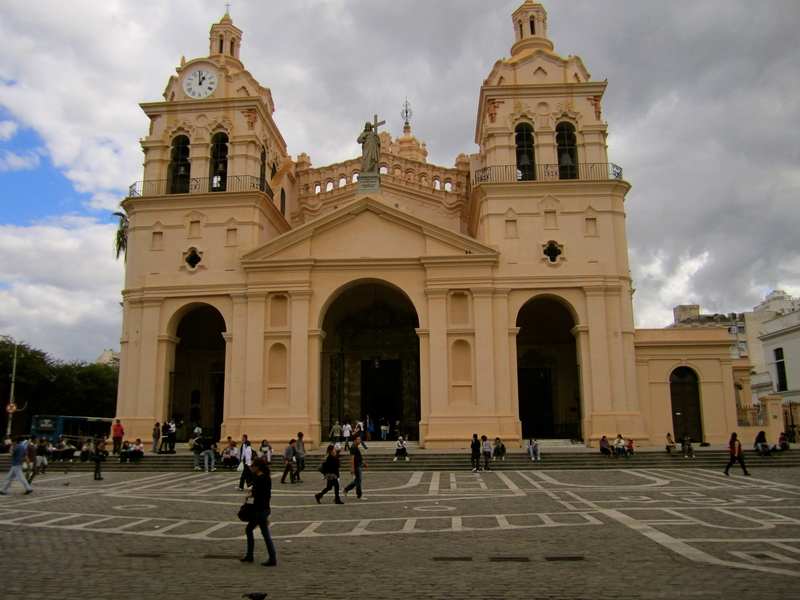 Córdoba is your typical colonial city with many interesting churches, museums, and pedestrian walkways to explore. 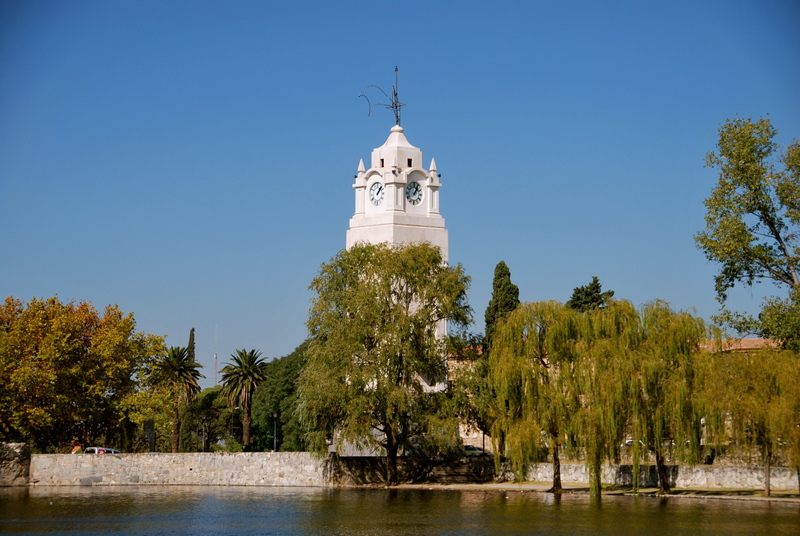 If you are at all in to shopping, you should head on out, as Argentinian window shopping is practically an Olympic sport here. We spent our time here people watching in the park, visiting churches, and going to a few museums. 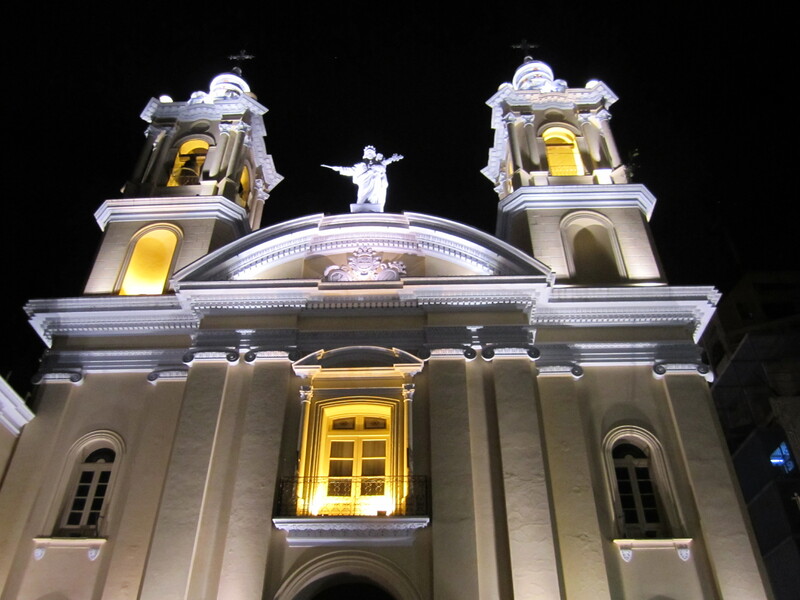 Another beautiful church lit up at night. We visited the Museo de la Memoria, which is a museum set up to remember the missing family members from the 70s and 80s who disappeared during the “Dirty War“. The museum occupies a space that was once used for the detention and torture of political activists. The museum was informative and was a stark reminder of the atrocities suffered here not so long ago. Just like the seeing the Madres de Plaza de Mayo in action, this was moving to witness and an important part of history to learn about. 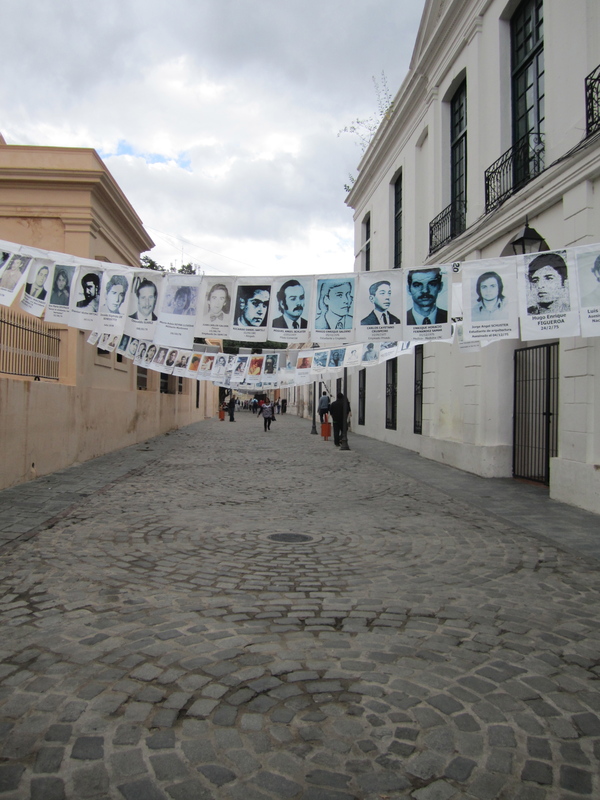 Entrance to the Museo de la Memoria: photos of the missing. We also did a quick tour of the city museum, which luckily only cost two pesos each. They had a few interesting artifacts to check out, and it was worth the quick visit. Kris and Bee in the city museum. From Córdoba we took a day trip to the small village of Alta Gracia, which is really only famous for two things: being Che Guevara‘s childhood town and its large Jesuit ruins. The town was a short bus ride away, and it was a quite pleasant small town to wander around. 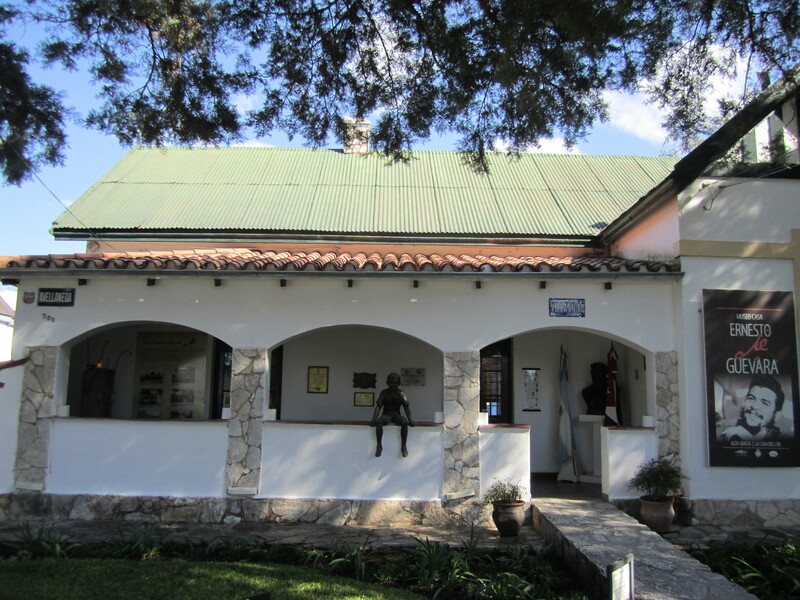 While none of us are super Che disciples, we felt we would pay homage to him and visit his childhood home, which has now been turned into a small museum. According to our Lonely Planet, the museum entrance was 5 pesos (just over 1 dollar), so it was a price we were all ready to part with to visit this small museum. Turns out this museum has figured that some tourists travel a great distance to retrace Che’s footsteps, and they have greedily increased the entrance price by 1400%. We were not ready to pay to “foreigner fee” of 75 pesos (about $18), just to see a small museum we were only half-heartedly interested in, while Argentinians only needed to pay 10 pesos. (Note to Argentina: it’s moves like this that is going to turn off a large portion of future travelers. We don’t mind paying a bit more, but sticking it to us every time does not make you leave with a warm and fuzzy feeling.) We declined the tour and all wondered what Che would think about this price hike. The Che Museum, a little too rich for our blood. Luckily, they didn’t charge us for this picture of the outside. 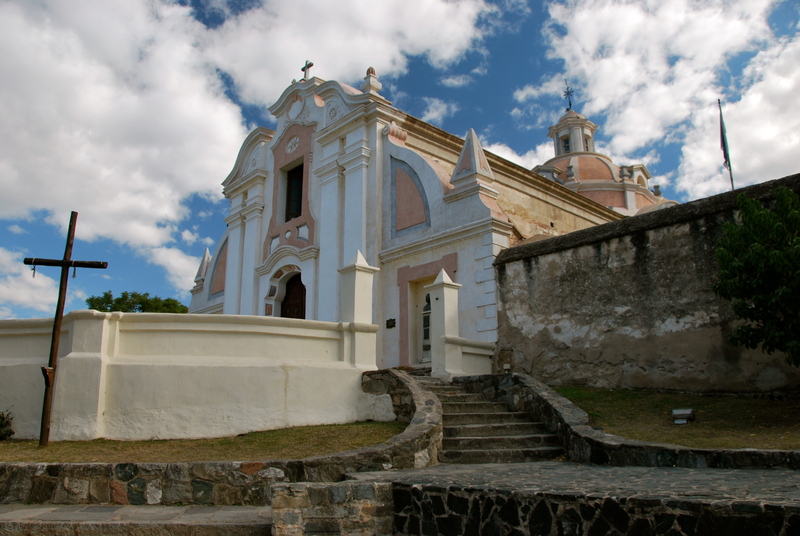 After this little incident, we were a little hesitant to go to the Jesuit ruins, as we feared what the entrance price would be for this city’s other large tourist attraction. Luckily, we were in town on a Wednesday, which just happened to be the free entrance day. Score! The ruins had great displays and even descriptions in English, which Kristen and Bridget didn’t even need with their Spanish reading skills. The architecture was amazing, and there were many opportunities for pictures. 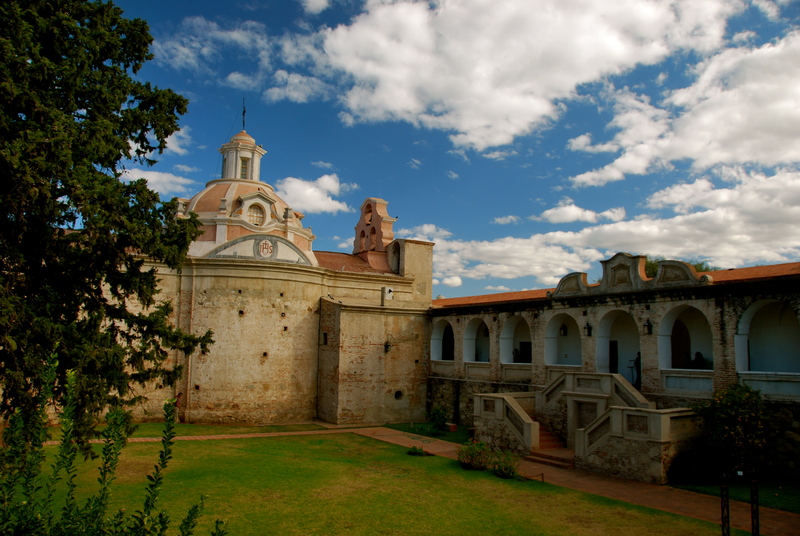 La Cumbre is a great little town, and has a few more things to do than just paragliding. We hiked up to the statue of Jesus prior to our flight, just in case. 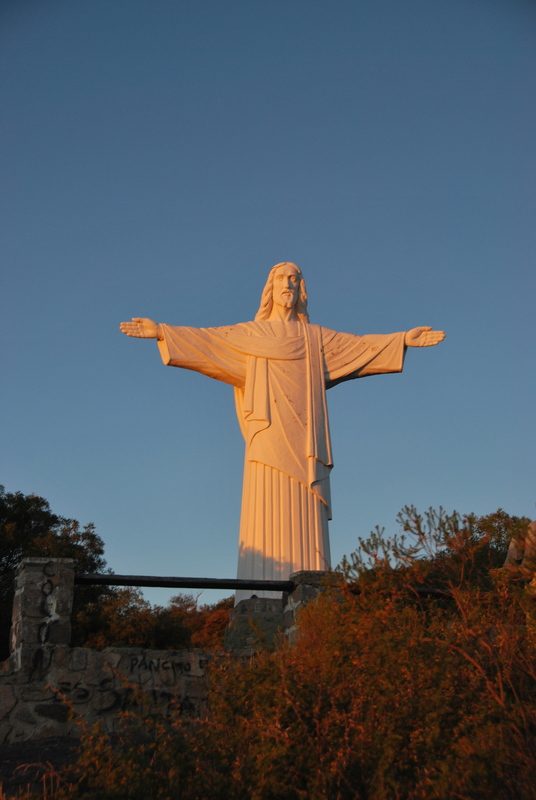 This statue was only 10 meters tall, so it wasn’t quite as big as the one in Cochabamba. 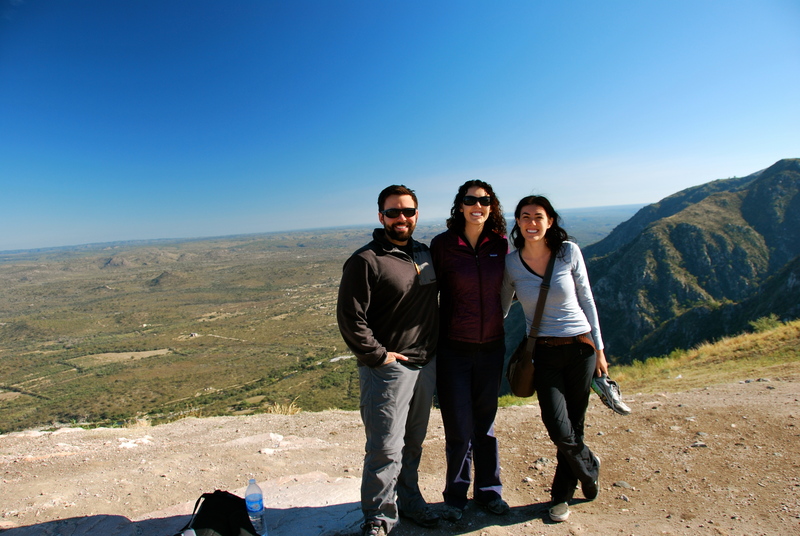 Enjoying the view over La Cumbre. 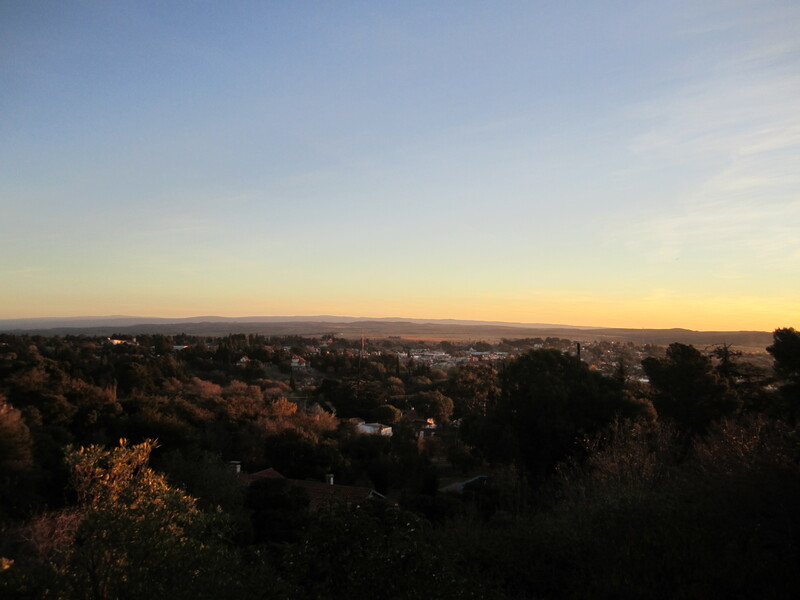 We hit La Cumbre in low season and often had a hard time finding any restaurants open. 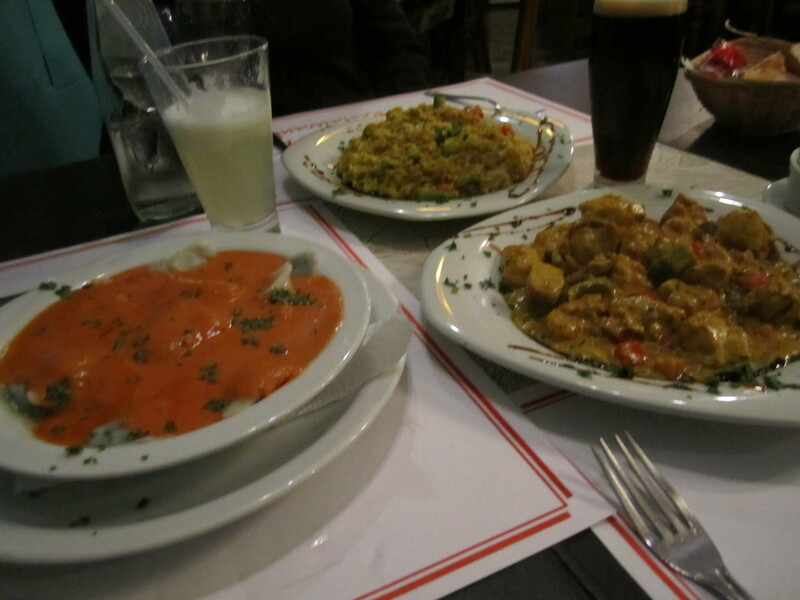 We did luckily find Kasbah and enjoyed the best curry on the trip. It was so good, we decided to visit two nights in a row. The owner chuckled a little when he saw us return. 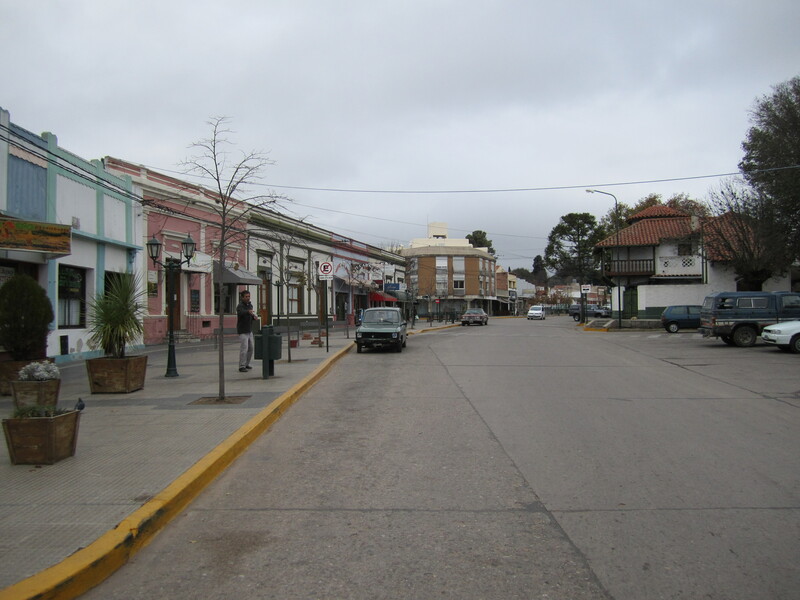 The busy streets of La Cumbre. 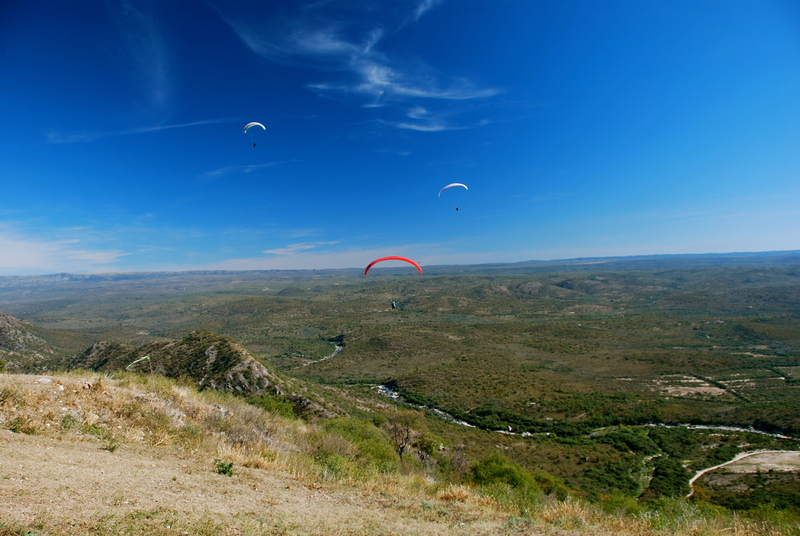 Now on to the main reason we visited this area, paragliding!!!!! 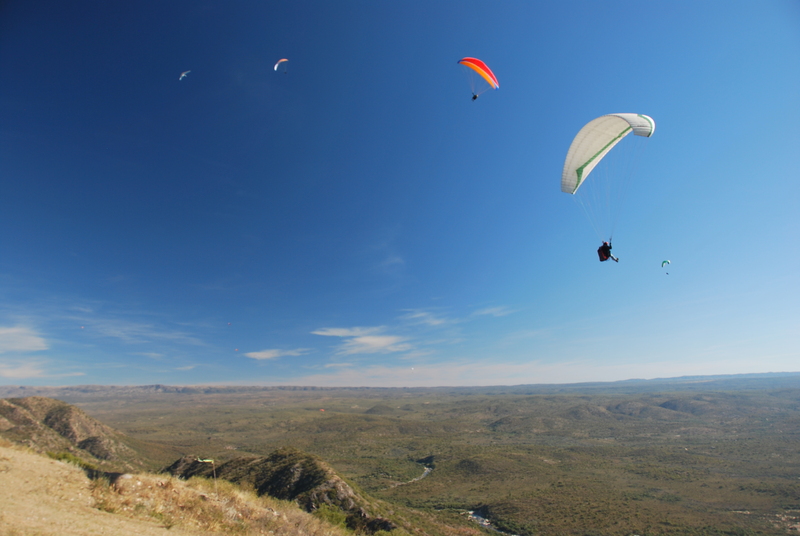 We called Toti Lopez, a world-famous paragliding pilot, and set up our rides. He picked us up and we all headed to the hill for our flight. 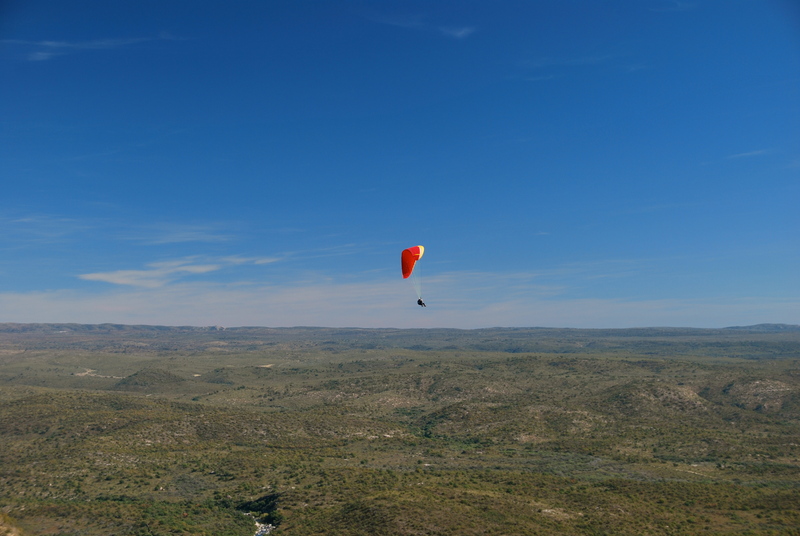 The wind was not right for the flight, so we had to wait a bit, but we knew when the birds started soaring we soon would be next. We had about two hours to sit and ponder our fate (with a fantastic view), while we waited for the winds to pick up. Condors showing us how it’s done. Then it was go time. 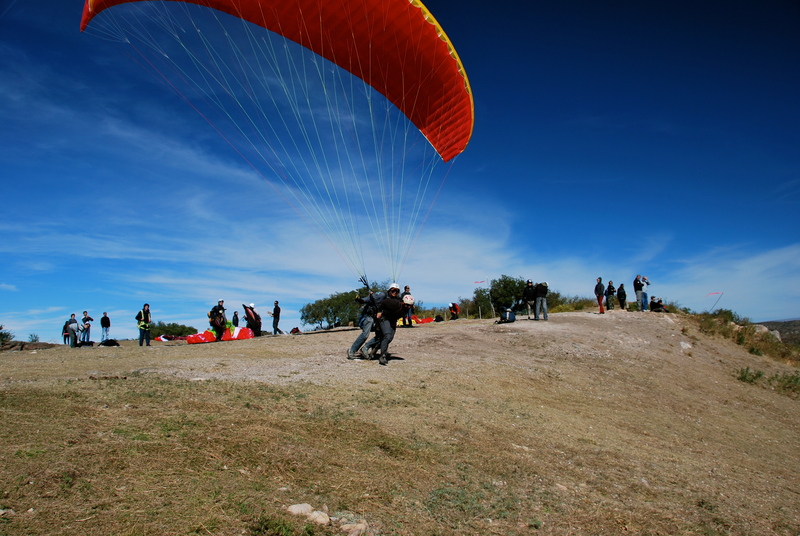 Paragliders came in droves and started filling the launch pad and prepping their gear. Our pilots also prepped the gear and we readied ourselves for the flight. Things started happening really fast and Bridget even asked at one point, “Do you think they are going to tell us what we need to do?” “Of course they will,” Joe responded, even though he was concerned about the same thing. Well if that didn’t sum it up, I don’t know what would. No problem, just run as fast as possible with someone strapped to our backs off a cliff. What could go wrong? Kristen and Joe decided it would be best send Bridget first, seeing how she is the youngest. It makes sense if you really think about it. Bridget all suited up ready to go. Bridget handled it great, head down, ran like crazy, and presto she was soaring like a condor. The winds picked up a little more and this is when Joe and his pilot decided to get airborne, except it was not as graceful as Bridget’s takeoff. It went a little like this: head down, tried to run, got pulled backwards, tripped over pilot, stopped, tried running harder, ran down the mountain, took off a little, landed again, continued running like crazy, and finally took off. Joe’s takeoff looks pretty impressive in still photos, but if we had video, it would have looked a lot like one of those National Geographic films of a young albatross trying to learn how to fly. Joe and his pilot ready to impress. Kris was the last to launch and claims to have had a graceful takeoff, but unfortunately, she was the last one of us to go, so no one could capture her supposed amazing start to her paragliding career. If you know her, you might doubt that her takeoff was really that spectacular. Guess we’ll just have to take her word. Joe took this picture of Kris in flight. The flights lasted about 30 minutes, and was truly amazing. If you ever want to know what it is like to fly like a bird, we honestly think this is as close as you can get. 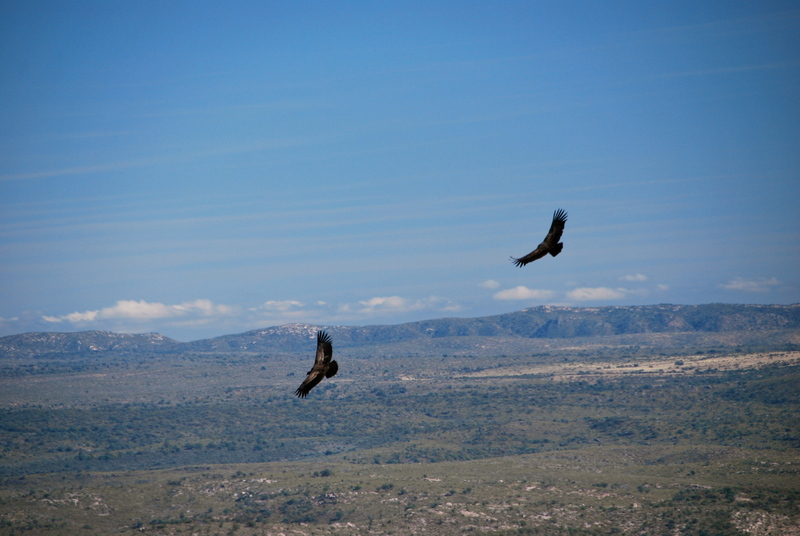 We would zoom by the cliff faces, make tight turns, and climb in thermals, just like the condors in the area. Bridget was having so much fun that she thought that she could extend her flight time by lightening the load. About five minutes before landing, she started to get “that feeling” in her stomach, the kind of feeling that makes you yearn for stable ground. Her world-famous pilot must have known things were getting iffy and directed her head to the side just in time. 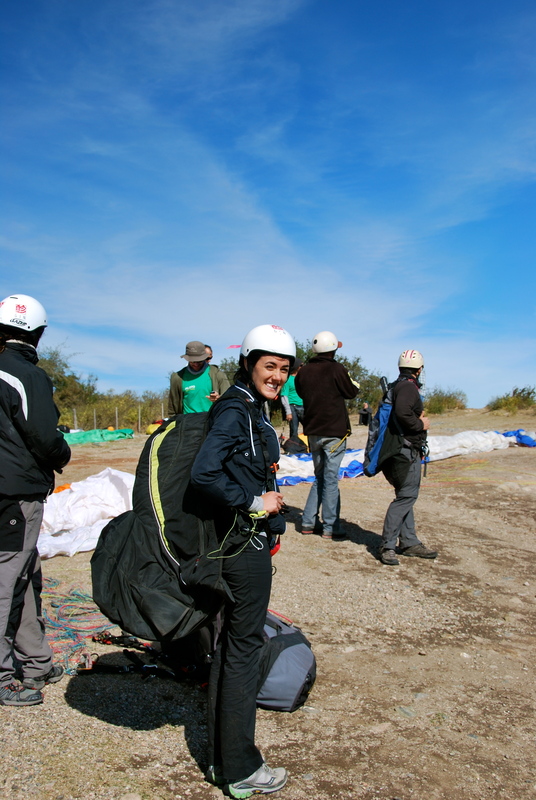 She might not have had the biggest smile on her face during the landing, but she swears she had a great time, even if poor Toti was in the line of fire. With our feet firmly on the ground and our heads still in the clouds, it was time to board an overnight bus bound for Salta. I am happy to not hear about your airborne adventures until AFTER you have all landed safely. 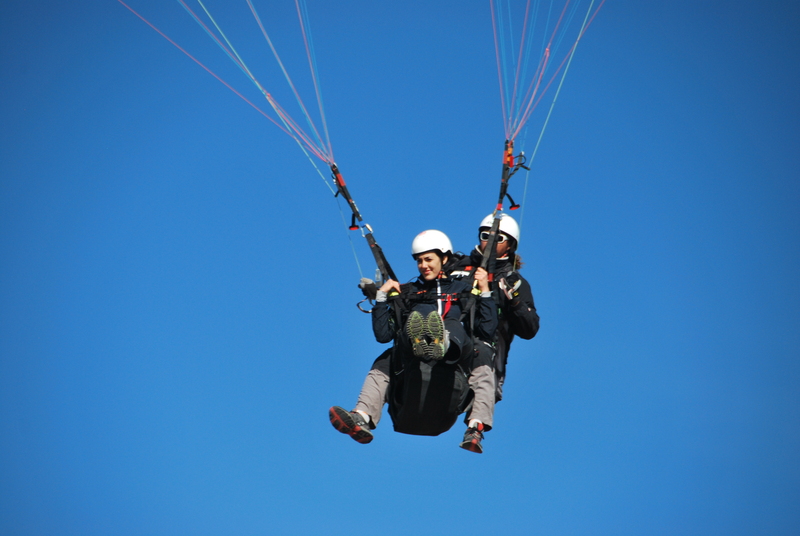 Speaking of airborne adventures…..aren’t you all coming back to the U.S. today?